Adult rabbits are easier to house-train than babies, especially if they’re neutered. They are less destructive around the home, and less likely to chew on your furniture, shoes, clothes, etc. Adult rabbits can focus better because they’re more mellow. Therefore, they learn more quickly than baby rabbits. Adult rabbits settle in more easily, because they’ve learnt what it takes to get along with others and become part of the family. Adult rabbits are good at giving love, once they get into their new, loving home. They are grateful for the second chance they’ve been given. What you see is what you get: unlike babies, adult rabbits have grown into their shape, size and personality. Babies can grow up to be quite different from what they seemed at first. Adult rabbits are more cuddly and like nothing better than to sit next to you to be stroked. Baby rabbits are far too busy dashing around, chewing and digging to enjoy being petted for long. Adult rabbits leave you time for yourself, because they don’t make the kinds of demands on your time and attention that babies and young rabbits do. Adult rabbits, especially large sizes, are less likely to be picked up and dropped by young children. Rescue centres have thousands of adorable adult rabbits needing homes, who were discarded through no fault of their own. Many are already neutered, vaccinated, socialised and litter-trained. 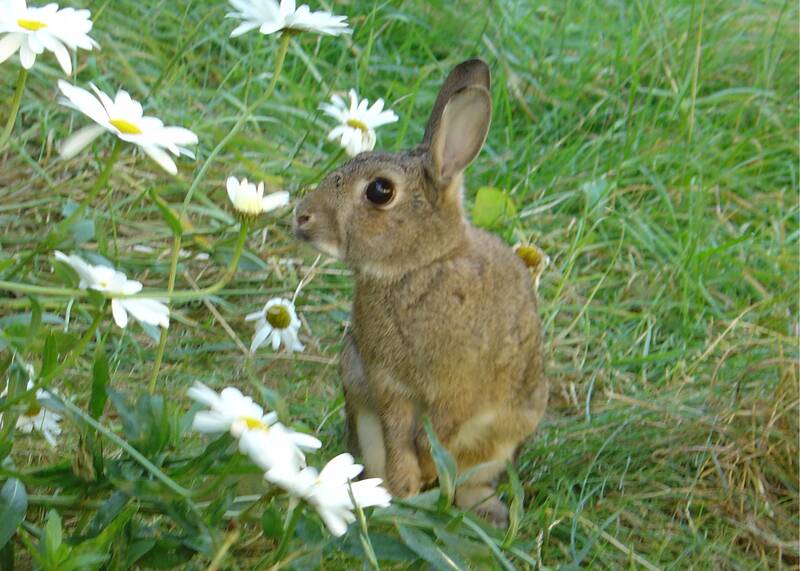 To adopt a rabbit from a shelter search the Bunny Hopline.